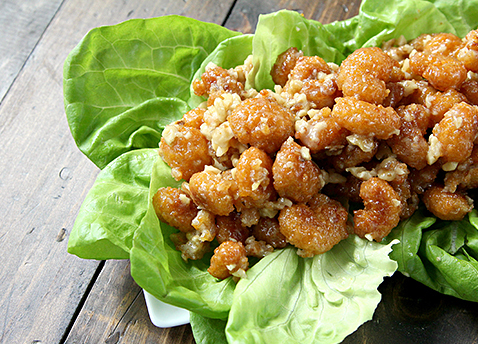 Never thought you’d see fresh orange juice and Popcorn Shrimp in the same recipe together? Snappy Gourmet is about to blow your mind. Prepare yourself for this treat: an app that’s a little sweet, a little tangy, and a whole lot crunchy. Preheat oven to 435°F. 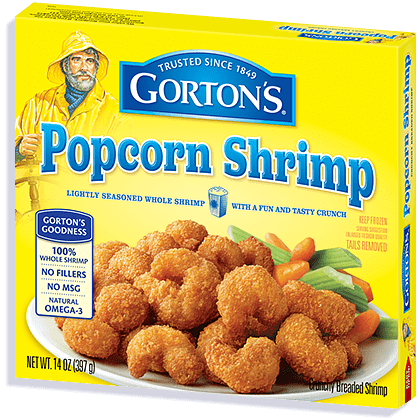 Arrange frozen popcorn shrimp on a large baking sheet in a single layer. Bake shrimp about 14-16 minutes or until golden brown and crunchy, turning shrimp over about halfway through cooking.You can also deep fry shrimp according to package directions rather than baking. Meanwhile, in a large bowl, whisk together mayonnaise, honey, sweetened condensed milk, orange juice, and salt until well combined. Freshly squeezed orange juice is the best, but bottled orange juice may be substituted. To toast the walnuts, place in a single layer on a large baking sheet and bake while shrimp is baking. Stir every few minutes until toasted. Stir shrimp and walnuts into bowl until well combined. Place on serving platter and serve immediately.